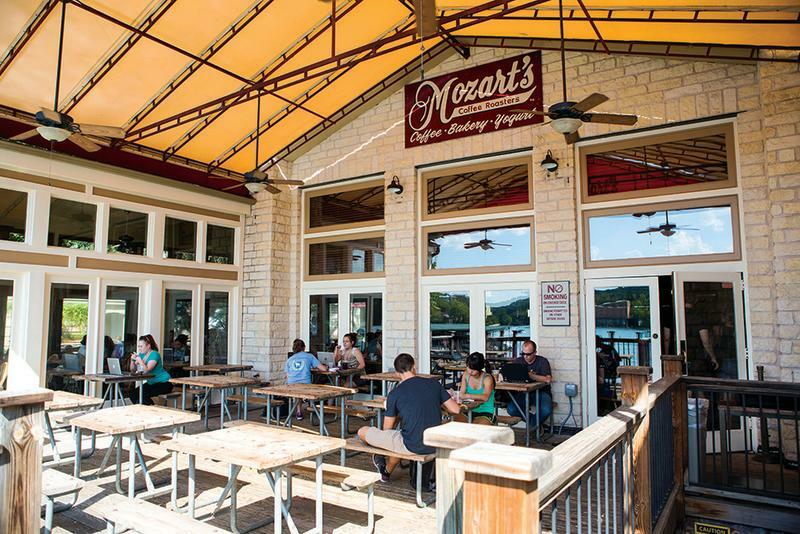 Take a break and make it a lake day in West Austin. Gorgeous views, elegant resorts, waterfront dining and drinking, and sunset gazing all make for a tranquil day. Courtesy of Lakeway Resort & Spa. 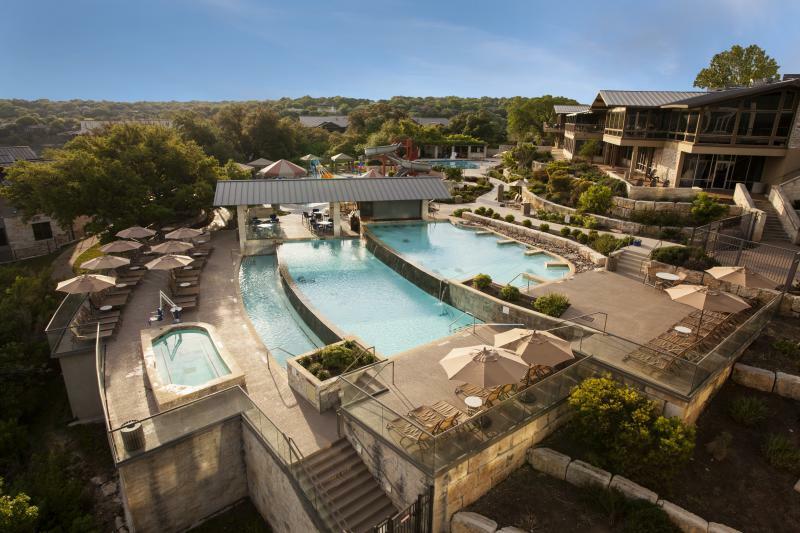 Enjoy luxury spa treatments, lovely accommodations and a variety of family-friendly activities at Lake Austin Spa Resort, Omni Barton Creek Resort & Spa (renovated property is expected to be complete by mid 2019), Horseshoe Bay Resort, Hyatt Regency Lost Pines near Bastrop, Lakeway Resort and Spa and the new Miraval Austin (opening Fall 2018). Find Indian and Nepalese fusion dishes at this BYOB strip mall surprise. Bee Cave Sculpture Park. Credit Photobright. 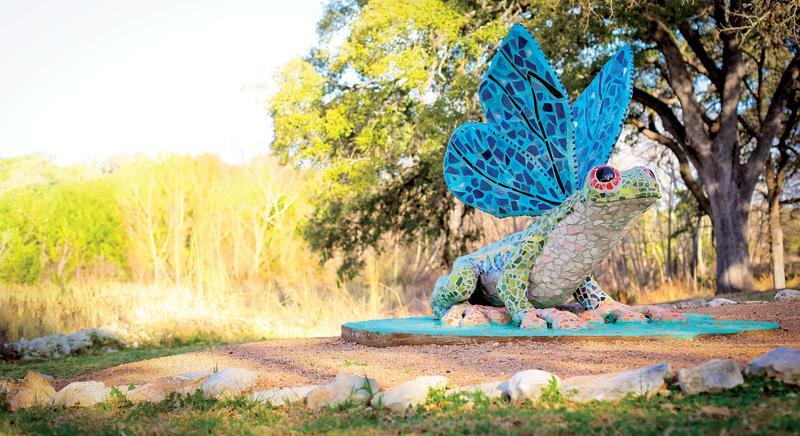 This 7-acre natural setting showcases a combination of permanent and rotating sculptures. Relax with a glass of wine on the tree-shaded patio or pop next door for a quick coffee. Wake up with a cup of java on the waterfront patio. Gorgeous views of the water and a multitude of local businesses makes this the perfect spot to shop, eat or enjoy a craft beer as the sun sets. Courtesy of County Line Bar-B-Que. 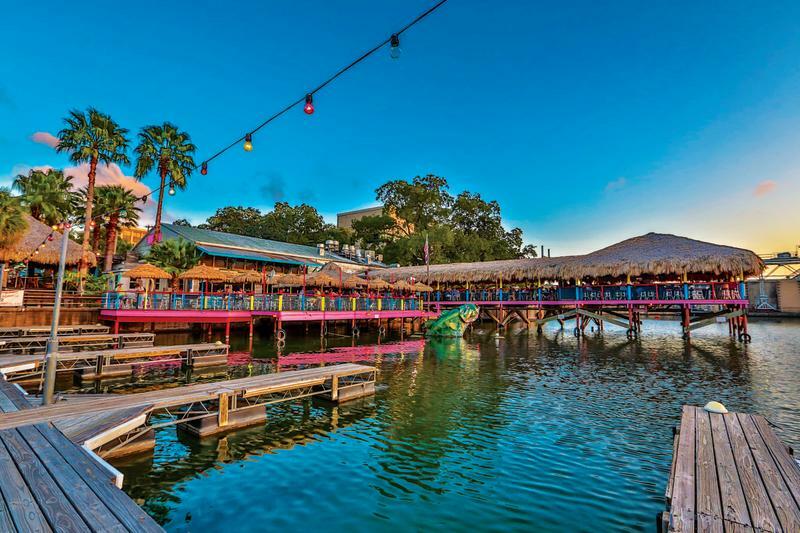 Relish waterfront Texas-style barbecue and an all-you-can-eat option for you hungry folks. Take advantage of our sunshine and rent a boat or take a cruise on beautiful Lake Austin. Say aloha to Mexican-Hawaiian fusion at the lakeside eatery. Take the trail or kayak down to this haven for happy off-leash dogs. Pennybacker Bridge. Credit Dan Heron. Austin is pretty as a picture, and you’ll likely want to take a few. Head to Pennybacker Bridge out on 360 to get a perfect sunset snap, hike Mt. Bonnell’s gentle slope for a bird&apos;s-eye view of the lake, or drop in at Mayfield Park and Preserve for photos of their famous peacocks.